Think you know music? Hit Parade, the pop-chart history podcast from Slate, is back with a new episode of the Bridge. 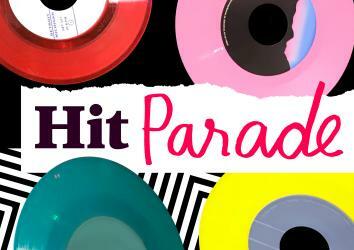 In this monthly mini-episode of Hit Parade, host Chris Molanphy answers some listener mail and invites one contestant onto the show to play some music trivia. Players also have the opportunity to turn the tables on him: They get a chance to try to stump Molanphy, a music journalist for the past 25 years, with their own trivia questions. This month, the Bridge tackles the Rock & Roll Hall of Fame, and some music trivia from the ’00s. If you’d like to be a contestant on an upcoming show, sign up for a Slate Plus membership, and enter as a contestant here. You can also enter if you’re already a Slate Plus member. Podcast production by T.J. Raphael.